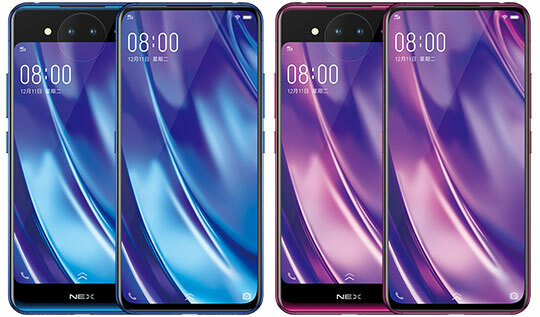 Even after having one glance to Vivo NEX Dual Screen Smartphone, you will mesmerize by a fabulous design of this Smartphone. All the components in this device are perfectly placed which allows it to achieve a solid balance. It looks like a premium Smartphone and you can easily carry it in one hand. The aluminum material used in frame lets it get structural integrity without increasing weight of the device. You will find the volume and power button on right side, while the AI assistant key is located on the left side of the device. The headphone jack is located at top edge, while USB port, SIM tray, and speaker grille are precisely placed at the bottom. 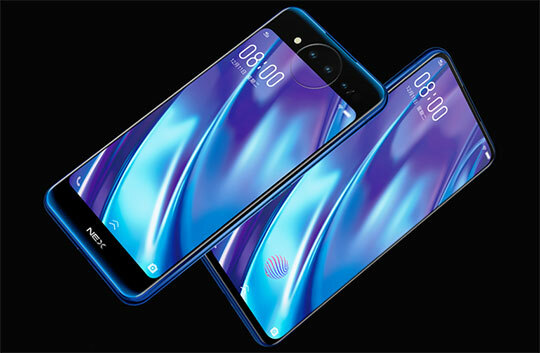 Vivo NEX Dual Screen Smartphone comes with dimensions of 6.1 x 2.95 x 0.31 inches. It weighs 198 gm which is not high if you compare it with other Smartphones having the same specification. Recommended for you: Xiaomi Mi Mix 3 Smartphone Feature Review – All You Need to Know. 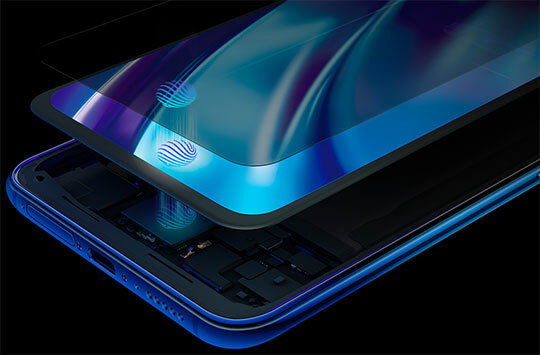 The main display of Vivo NEX Dual comes with Super AMOLED panel of 6.39 inches and 1,080 x 2,340 resolution. Though pixel density is quite low, the overall display is big and vivid. It offers you an ideal experience of using a premium Smartphone. The secondary display of this Smartphone appears very similar to main display but it comes with 1,080 x 1,920 resolution. If you are using the rear display to open apps then it will curtail the view to the aspect ratio of 19.5 x 9. 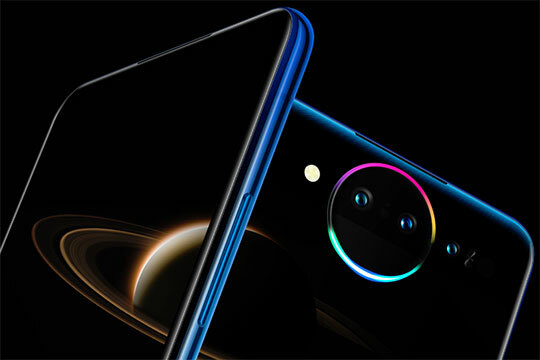 Vivo NEX Dual Display Edition is all set to give strong competition to all those Android Smartphones that have got triple rear cameras. The 12MP primary camera comes with f/1.8 shooter while the 2MP secondary features f/1.8 sensor. Both the cameras are capable to capture common shots along with selfies. The use of dual LED’s in camera module of this device lets you click high-quality images with even exposure. 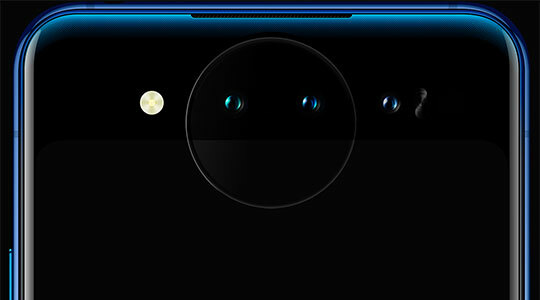 The third camera Smartphone comes with a TOF sensor along with IR illuminator. This unique feature helps the user in 3D face recognition and selfie beautification. 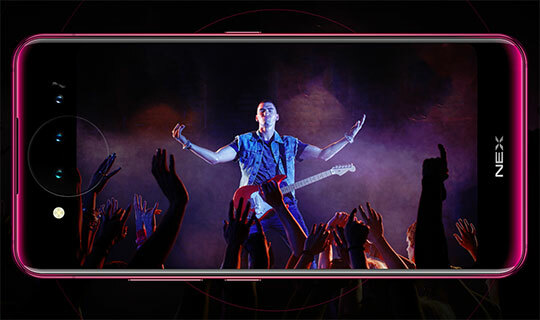 The camera of Vivo NEX Dual is also equipped with Auto Focus and Touch Focus features. Vivo NEX Dual Screen Smartphone features Qualcomm Snapdragon 845 processor which is nicely complemented by RAM of 10GB. If you are a user with a habit of running multiple apps at one time then this Smartphone will not disappoint you. When it comes to specification aspect, it is a highly loaded device that will be recognized for its superior performance. It supports Android 9.0 OS which is a cherry on the cake. Though the device doesn’t support external memory, it has got 128GB of ROM which takes care of all your storage including medial files and work data. Vivo NEX Dual Screen Smartphone comes with non-removable Li-ion Battery of 3500mAh. If you spend a lot of time on your Smartphone playing games then you may question the longevity of its battery life. This Smartphone also boasts about some other common features such as proximity sensor, E-compass, Fingerprint unlocking, Sound recorder, Bluetooth 5.0 and much more. The package contents come with the main cell phone, charger, earphones, SIM needle, USB cable, and the English user manual. You may also like: Kospet Hope 4G Smartwatch Phone Feature Review. Vivo NEX Dual Screen Smartphone is available at a price of $739.99 which is quite fair considering its premium specification. The idea of the dual screen has shown the innovative approach of Vivo. It may become a trend in upcoming years. In this device, you will feel a taste of modern-engineering which can go to any extreme to impress its users. Apart from its exceptional display and design, there are several appealing features in this device that will convince users to buy this Smartphone without any hesitation. Vivo NEX Dual Screen Smartphone price is quite fair considering its premium specification. 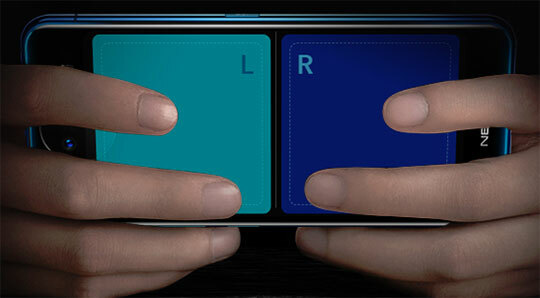 The idea of the dual screen has shown the innovative approach of Vivo and it may become a trend in upcoming years.